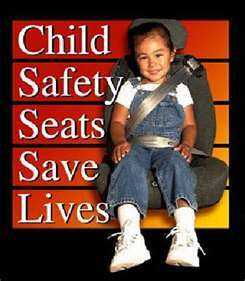 The Dunnellon Police Department has Child Passenger Safety (CPS) Technicians available. The CPS Technicians conduct child safety seat checks, where parents and caregivers receive hands-on assistance with proper use of child restraint systems and safety belts. Nearly 73% of child restraints are not installed or used correctly. Using car seats, booster seats and seat belts the right way on every ride saves lives. If you are interested in having a child safety seat inspection, contact the Dunnellon Police Department at (352) 465-8510 and one of our certified officers will examine yours. For more than thirty years the National Neighborhood Watch Program has been one of the most effective ways for citizens to help law enforcement with the protection of our neighborhoods. This community-based crime prevention program is a simple and direct approach toward protecting our community from criminal attacks. The program involves the reduction of criminal opportunity through citizen participation in crime prevention measures, such as being alert and aware, reporting suspicious and criminal activity to the police, and initiating actions that reduce criminal opportunity. 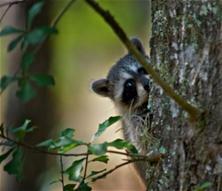 Members are not asked to put themselves in danger or to apprehend criminals, just "be on the lookout." Neighborhood Watch groups offer many benefits to the community, such as crime reduction and a better quality of life. Community members may feel a stronger sense of security, responsibility and personal control through the participation in Neighborhood Watch groups. Neighborhood Watch groups also help build community pride, unity and prepare us for helping ourselves and others in the community. The Dunnellon Police Department in collaboration with the (DEA) Drug Enforcement Administration has opportunities through the year for residents to dispose of their expired, unwanted, or unused pharmaceutical controlled substances and other medications to law enforcement officers for destruction. Medications that are collected include controlled, non-controlled, over the counter medications, Intra-venous solutions, injectable, syringes and liquid medications. Please remove all personal information from the packages. If you have questions on any of these posted items, please feel free to contact the Dunnellon Police Department for answers 352-465-8510.